Real Tiger Eye beware! This is going to give you a run for your money! 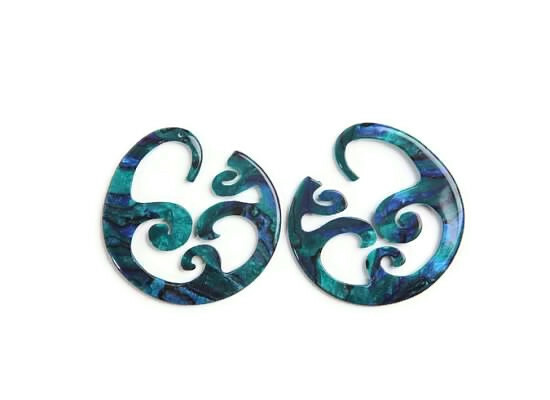 Only difference is we don't have to wait a few million years, then blast into the side of a mountain in order to make earrings using this sustainable alternative! Lightweight, incredibly durable and made from a plant based, eco-friendly Vegetable Cellulose Acetate. 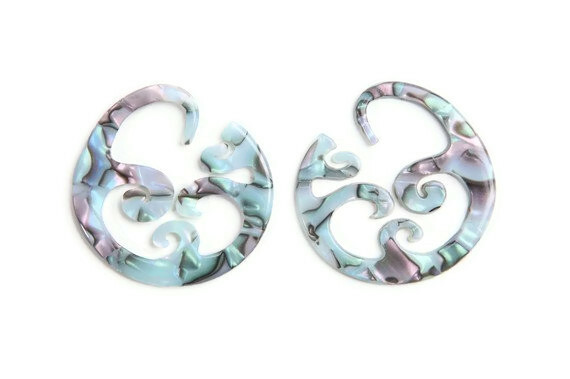 This innovative line of body jewelry line is Intrepid's official new obsession...and soon will be yours too! Available in 8ga only. Diameter is 1 7/8” (48mm). 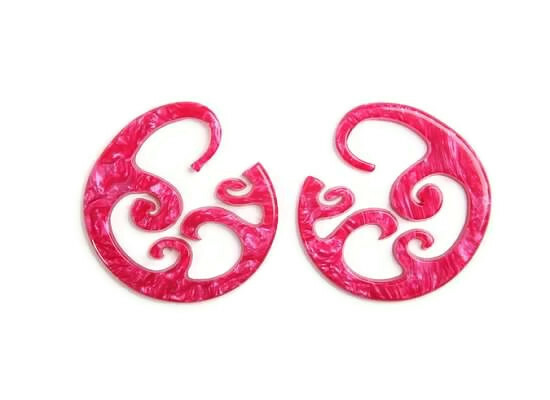 These fun and gorgeous earrings are all that remains of the first run of Italian Rhodoid that Intrepid produced in 2010. Additional Colors and styles can be found here.